ISOGG hosted a reception Saturday night with food and drinks as usual. Many gathered to share opinons aobut the day's presentations as well as rekindle friendships and meet new attendees. Bennett and Max had opened Saturday morning with statements that the first word in the name of the company was family and that they considered all of us family. Having time to share our lives with each other does strengthen our bonds beyond our hobby and does make us sort of a family. I know many have established some great freindships. We look forward to this gathering every year, but it often means the end is near. 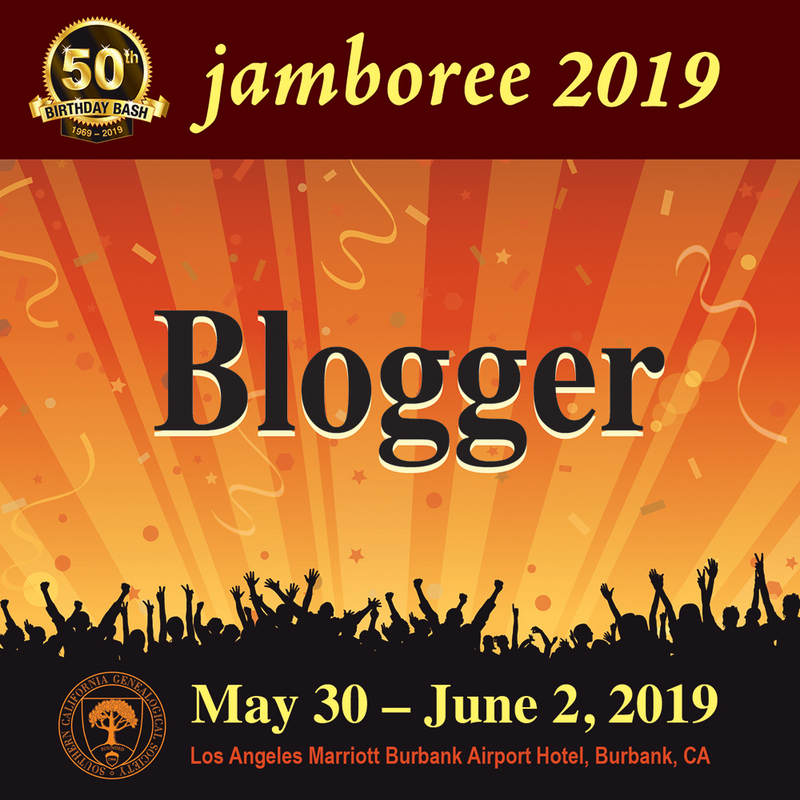 Although there is excitement about the presentations for Sunday, there is thoughts of packing, printing boarding passes, getting the hotel bill paid, catching a flight ... and a pang of sadness. Most of us do not see each other but once a year, and many of us have to leave before the last word is spoken on Sunday. Sadly, I was one. When you live at the edge of the earth, few flights are available when you want them. For this reason, the last Q & A is very short, and I'm sure other bloggers can fill in the gaps. 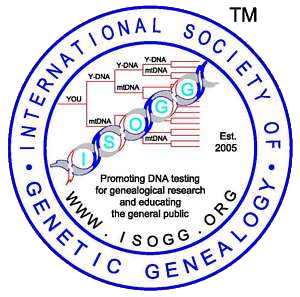 ISOGG (International Society of Genetic Genealogy) met. · Katherine Borges recognized the June death of Kenny Hedgpath who was one if the founders of ISOGG and the November death of David Brown of the Rose Y-DNA Project. Both are greatly missed. · Create A Book at the ISOGG Wiki site. This allows you to create material for your projects, for a speaking engagement or any other use where you need to share material using pages from the ISOGG Wiki. · Alice Fairhurst spoke about the Y-DNA Phylogenetic Tree. She heads the committee to keep it current. 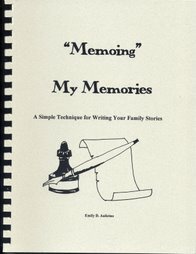 She reports that they have had 1,000 hits on that site by academics and students as well as from genetic genealogists. The site is within the YCC guidelines. The site incorporates all known SNPs and is growing so quickly that it is a struggle to keep updated. Alice requests that you forward her any academic papers regarding SNPs. · Katherine spoke about the ISOGG PAC which is a political action committee with no money behind it as ISOGG is a non-profit. However, those who wish to join may and help with writing campaigns, etc. to be a voice for genetic genealogists in the academic world with regard to federal and state regulations which are under consideration. Elliott Greenspan, head of the IT department at FTDNA, presented on IT Roadmap 2011: The Year in Review and Looking Ahead. There have been may changes over the last year, including new GAP pages, updating the FAQs, and now new personal pages which will be viewed by administrators this week and released to the public after they are beta tested for a few weeks. A very interesting note is that FTDNA is looking at an event-based model rather than using Genetic Distance since multiple differences on one marker are often one event. This will make matches more realistic and not so distant in some apparently quickly mutating family groups. There is a new advanced matching which combines the Y-DNA, mtDNA, and Family Finder for matching. EX: If you compare all three with a person you match, you may discover that in FF you are a match and are also in Y-DNA, so you know the match is on your all male line. What a wonderful new tool! We viewed the SNP Map, and it will be a great new tool! It shows where in the world all the testers are for certain SNP which allows us to see where there is concentration of this of this marker. Dr. Michael Hammer, FTDNA's Chief Scientist, and member of the Scientific Advisory Board. Dr. Hammer is a Biotechnology Research Scientist at the University of Arizona. He co-authored the first paper showing that present-day Cohanim are descended from a single male ancestor. His presentation on Neandertals in our Midst: Just How Modern is our Genome? was very interesting. He said that there are at least three instances of humans interbreeding with archaic species: once in Africa, with the Neanderthals in the Middle East, and with the Deniosvans in Southeast Asia between. In his review of the Clan Colla Null 425 project, he mentioned that it is believed that the clan is descended from three Colla brothers who lived ca 400 AD in Ireland. This clan encompasses many different Irish surnames, and all members of this project are R-L21+. Every member who has tested has also been discovered to be R-DF21+. The work of groups like this is surely narrowing the field for those who have lost their ancestors’ connections to the homeland due to the diaspora. Jessica L. Roberts, formerly an Associate-in-Law at Columbia Law School and an Adjunct Professor of Disability Studies at the City University of New York, has joined the faculty of the University of Houston Law Center as an Assistant Professor of Law where she teaches Introduction to Health Law, Disabilities and the Law, and Genetics and the Law. She is currently focusing on the theoretically implications of health-care reform, implications of genetic identity, and antidiscrimination protection of health-related information. In her presentation DNA Tests and the Law: Pitential Use of Ancestry Tests for Immigration, explained how DNA Ancestry testing has advantages and disadvantages at this time. There are issues in determining specific groups (cultural, religious, ethnicity, political, etc.) by DNA testing and the government usually wants to know what group the immigrant is. Those entering from another country are not allowed lawyers so who would advocate for them regarding DNA testing. At this point in time, using DNA does not seem feasible. Richard Hill, an FTDNA Administrator, spoke about his search for his biological parents in An Adoptee’s Journey to His Ancestral Surname. Richard was adopted, but wasn’t told until he was in college ... and not by his parents. Upon visiting a doctor who wasn't finding a reason for his symptoms asked how Richard felt about being adopted. No doubt an amazing shock. Richard took us through his journey which was seemingly rather easy on the surface. Using clues he followed the path to a man named as his father in his birth certificate, but after a paternity test, Richard realized he was not. More clues lead him to a man with four brothers, any of which could be his father. With DNA testing at Family Tree DNA and some good genealogical sleuthing, he actually determined who his biological parents were. Not everyone who has been adopted wants to find their parents. Not all parents want to be found. 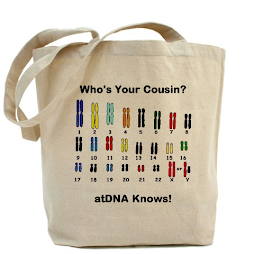 At Family Tree DNA, about 40-60% of those who test do discover their ancestry. Richard has an excellent website for learning the basics of DNA testing. 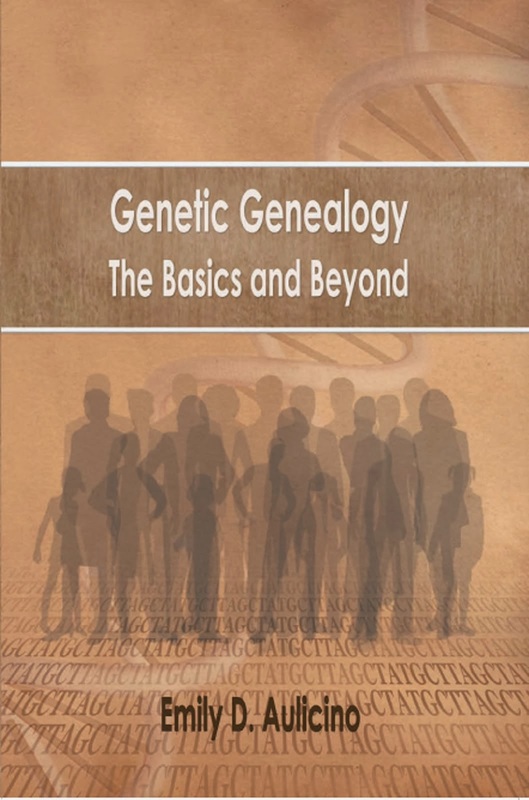 You can download a free booklet on understanding DNA testing as well as some great tutorials. He also has information regarding adoption and much more. Richard is available for presentations. Contact them through his website. * Bennett states that the micro-alleles have been recorded for all who have tested since 2001 and will now be reported in the GAP charts and incorporated into matching. * The “in common” feature on Family Finder can only be applied to confirmed relatives due to privacy issues. * There will be a sale from FTDNA probably starting at the end of this week which will go through the end of Dec. It is not know what will be for sale. Watch this blog for the announcement of the sale coming later this week. Be ready to order your test or upgrade. Now to start thinking about Who Do You Think You Are? Live and London, February 2012!